I can't believe it's April already! Time for me to look back at March. Last month, my skin suffered from redness, with dry patches on my cheeks and an oily t-zone as well as my usual under-eye puffiness. The windy days here in Birmingham definitely didn't help with that, so I decided to give my skin a little bit of extra TLC. 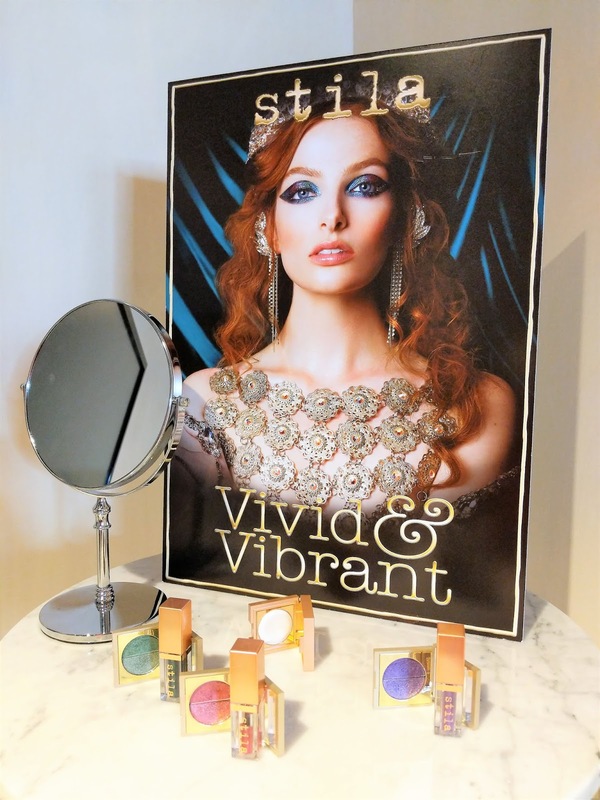 There are four products that really stood out for me in March and I have been wanting to share with you. 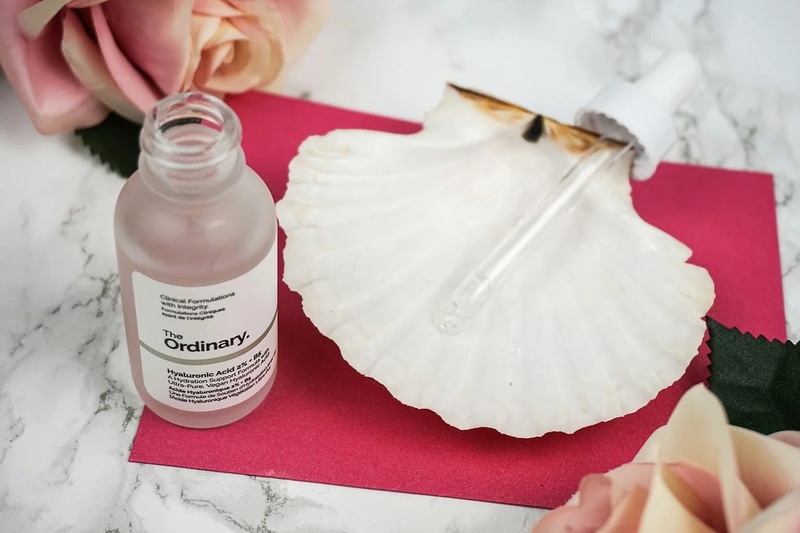 By now, most of you will probably be aware of The Ordinary, a skincare product that has been the main feature in many blog posts over the past months. I am probably a little late writing this, so I do apologise but I couldn't just leave it. This post will be covering three of their items, together with a cream from French skincare brand La Roche-Posay. Let's start with a little bit of background information on The Ordinary. 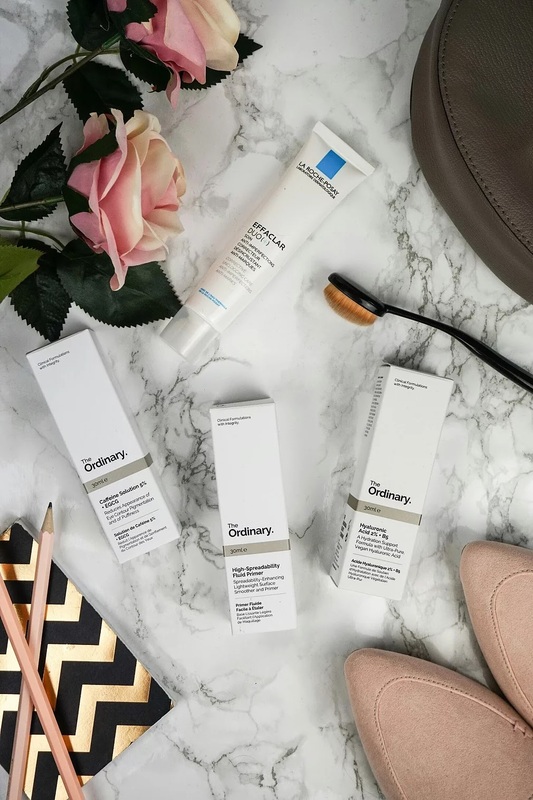 The Ordinary is a skincare brand that offers clinical technology at reasonable prices. 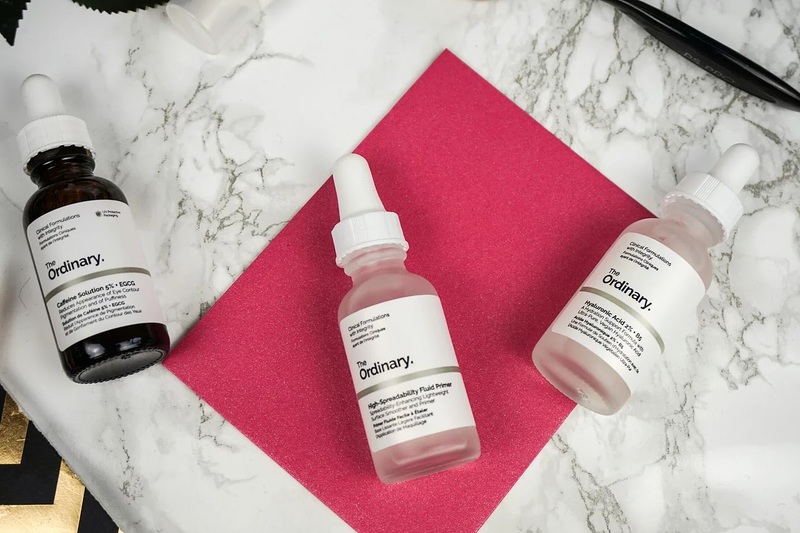 A treatment in a bottle if you like :) They are part of umbrella brand DECIEM, offering integrity and honesty through paraben free products that are not tested on animals. 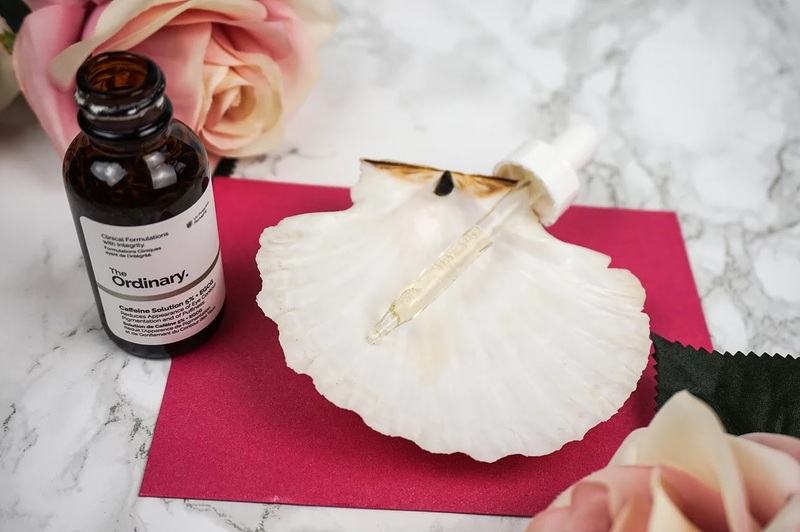 I first learned about The Ordinary when I was reading my weekly Stylist Magazine, and one of the editors was raving about it. Since then, I have heard so many good things about it, that I decided to give it a go. The first thing I noticed, is how reasonably priced everything is. I was afraid it would be one of those super expensive, high-end brands, but I couldn't be more wrong! I decided to go for three products that I felt could tackle my issues. The first item I tried is the Hyaluronic Acid 2% + B5 solution. This is a solution that helps the skin stay hydrated and helps the skin absorb moisture. I apply it day and night, before applying any oils or creams. The first time I tried it, I noticed how quickly it was absorbed into my skin and how refreshing it feels. My skin no longer feels dry, but soft and plump. It's such a nice way to start the day. The Hyaluronic Acid 2% + B5 is a water solution and is alcohol free, silicone free, vegan, nut free and cruelty free. Pure bliss for my skin, and I would definitely recommend this to anyone who is suffering from dry skin. I have sensitive skin and it's perfectly fine for that too. It does not feel uncomfortable at all. You can buy this item on DECIEM website for £5.90 for 30ml which is a really reasonable price that won't break the bank. The second item is the Caffeine Solution 5% + EGCG, which contains caffeine and Epigallocatechin Gallatyl Glucoside from green tea leaves. I bought this because it reduces the appearance of eye contour pigmentation and puffiness. Exactly what I needed, as I tend to have serious under-eye issues when I wake up! This solution is again a water solution that can be applied in the morning and evening before applying oils/creams. I have tried caffeine based products before, and knew it would do something, however most of the ones I've tried clearly never had that much caffeine in them because wow! As soon as I applied it, I felt my puffiness disappear and the skin under my eyes tighten, instantly looking more awake. Definitely the best under-eye product I've tried so far! This bottle comes at £5.80 per 30ml available at DECIEM, so again really reasonable, especially as you use a very little amount each time. The third item from The Ordinary is the High-Spreadability Fluid Primer. This makeup primer is a silicone based primer that enhances the spreadability of makeup like foundation and concealer. The thing that drew me to this item, is the idea that it helps prevent uneven spreading of makeup, especially under the eye and on dry skin. I have definitely noticed that my foundation likes to build up on dry patches of skin which has made my makeup look cakey and unnatural on many occasions. This primer really prevents that. Because it contains silicone, it forms a thin layer on the skin, which makes it easier to smooth out any makeup afterwards. 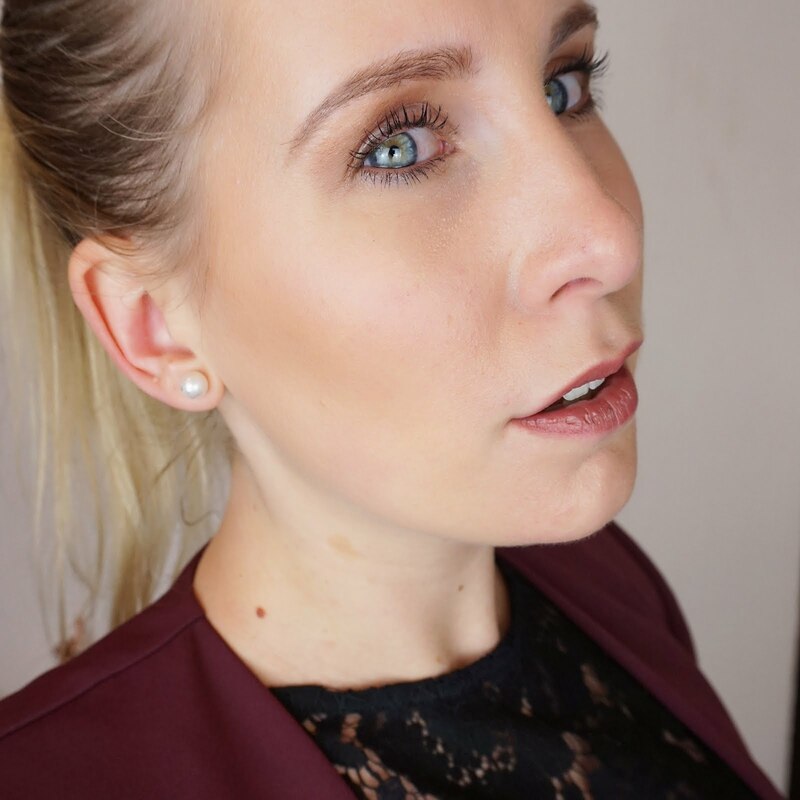 The primer applies super easily and feels lovely on my skin. 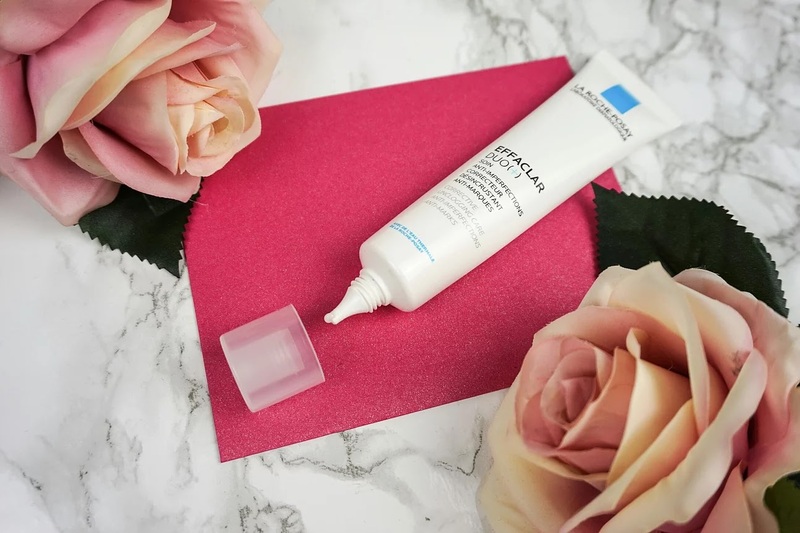 I would recommend not to use too much though, because I often feel that when the silicone build up is too thick, it makes it feel uncomfortable throughout the day. 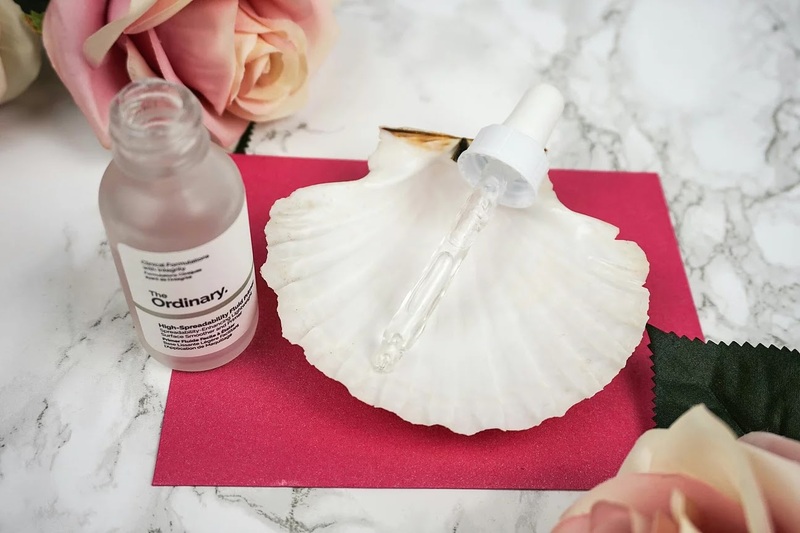 The primer costs £5.50 per 30ml, and is available at DECIEM. So there you have it. Four great skincare products that work for me and I would definitely recommend to everyone. I have really made these part of my daily skincare routine. I hope you found it useful and that I have made you curious to try some for yourself. 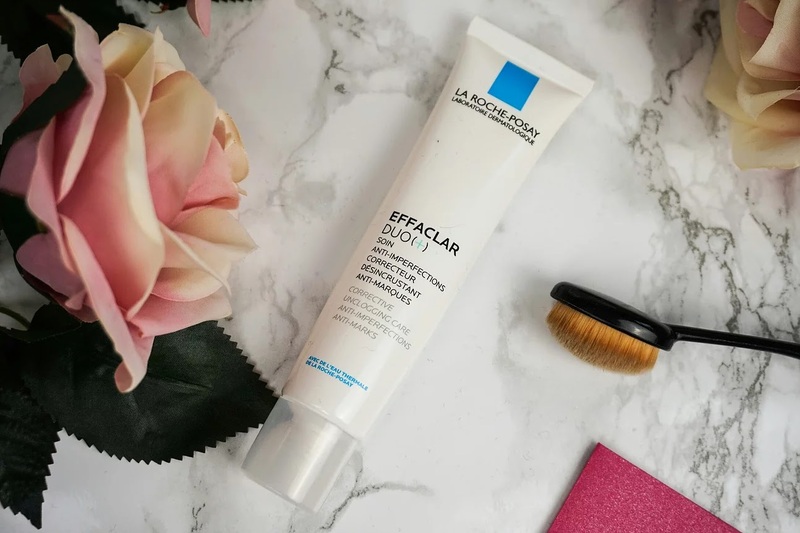 * The La Roche-Posay Effeclar cream was offered to me for free, compliments of La Roche-Posay. All of my thoughts and opinions in this post are genuine and my own, regardless of whether the products were given to me or not.